Retail Imagers serve photographers across multiple imaging segments. 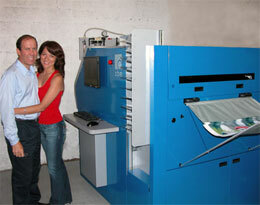 They have diverse customers with ever expanding requirements for imaging products and services. They are often asked for fast delivery. Their images reflect a mixture of subjects. The images are used for many purposes including memory-keeping and sharing, photo décor, business communications, marketing, sales, merchandising, promotion, public relations, education and awareness-building. 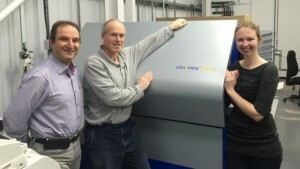 “The Chromira ProLab has created more business for us in both professional and consumer markets. We have new products, and a more capable and smooth workflow with Chromira’s WorkStream software. We’ve enabled faster turnarounds and decreased direct labor cost by taking out manual sorting and cutting. We used to be too busy to service professional photographers on a greater scale, but better delivery time has gained us more professional photographic customers. Now, we take great care of the pros and give them much better prices. They are happy…and so are we! The biggest thing that drew us to the Chromira ProLab was the all-in-one solution with automatic mixed-size cutting and sorting. The Chromira ProLab saved space, and it streamlined our photographic process, workflow, and quality. All of our output goes through it. We used to have an Oce LightJet, Konica R-1 mini-lab, a Kreonite processor, and a big darkroom, about 500 sq ft. We were able to replace all these machines with one. We saved a tremendous amount of space, not to mention energy. 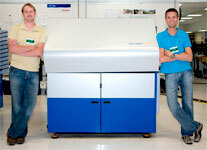 “We’ve been running the ZBE Chromira ProLab since October 2007! It is wondrous! Our workflow has been so smooth. We attribute this success to both the printer and your excellent staff. ZBE team and their products have earned our trust. 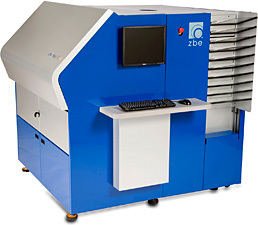 The ZBE Chromira ProLab is in a class all by itself… It is a revolutionary printer that does it all! We love the space saving footprint. Its modular design fits any area. It back-prints all sizes from 4”x5” to 30” X 100”. It fits any popular workflow providing convenience and productivity. “Our success has always depended on offering good quality at competitive prices. The digital printer and processor we were formerly using were proving too time-consuming which prohibited us from reducing prices to where we’d like them. The Chromira ProLab proved to be the answer; it has literally transformed our in-lab working practices, streamlining production to the extent that we use just one of our two Frontiers for smaller print sizes and long print runs (such as flyers). The Chromira can easily cope with the remaining work in a seamless fashion. We are also delighted with the quality it produces: very sharp, vibrant colours and excellent gradation.